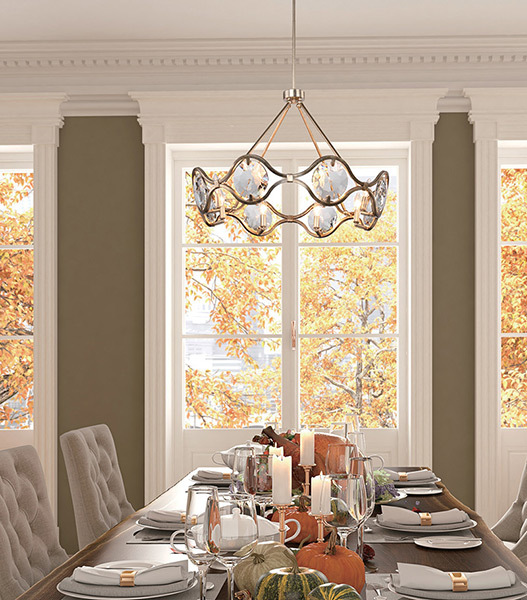 Dining room lighting should be both beautiful and functional, and this is best accomplished by using a combination of task, ambient, and accent lighting throughout the space. These various layers of lighting establish the mood for a variety of functions, including dining, homework, or family bookkeeping. 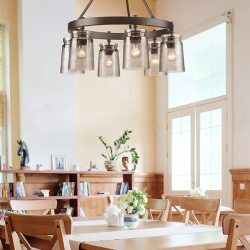 At Accent Lighting in Wichita, we have a fantastic variety of dining room light fixtures, and can help you choose the best options for your home. 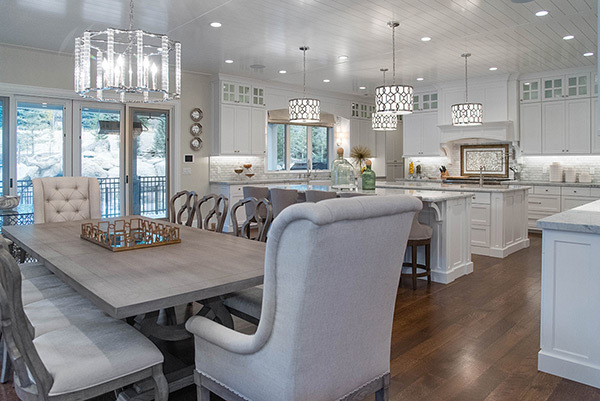 A chandelier can be a great choice for the central, ambient light fixture. We’ll recommend the style and size that will best suit your dining room, and discuss whether or not it’s a good option. By adding dimming controls, you’ll be able to adjust the lights for various occasions, such as dinner parties, family reunions, or homework time with the kids. Recessed lights can be ideal as accent fixtures, highlighting a curio or china cabinet in the room. Track lighting that accentuates artwork is also good for the space. Since there aren’t usually separate seating areas in the dining room, there might not be any need for lamps or other task lighting, but we’ll discuss every possibility when you’re in our showroom. 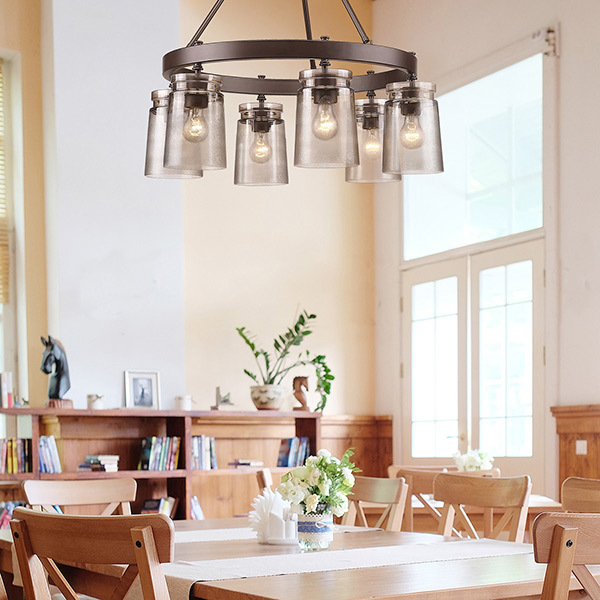 If you’re looking for new dining room lighting for your home, take some time to look through our catalog, or visit our showroom today. We’re proud to serve all of south central Kansas, and love nothing more than helping homeowners find the perfect lighting solutions. 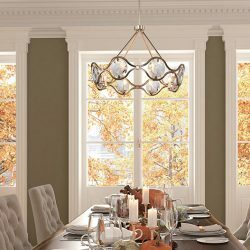 We’ll suggest the ideal chandelier, recessed lights, track lighting, and anything else that you need to make your dining room feel complete.